Today is the June 6th, 2018 broadcast of New Abolitionists Radio. The anniversary of our program as we head into our 7th season. • In order to challenge the 1890 Louisiana statute requiring separate accommodations for whites and blacks, Homer Plessy and the Comité des Citoyens used Plessy’s light skin to their advantage. On June 7, 1892, Plessy bought a first class ticket on the East Louisiana Railway. He took a vacant seat in a coach reserved for white passengers. When Plessy was ordered to leave, he disobeyed. Policemen arrived and threw Plessy off the train and arrested him and threw him into jail. He was charged with violating the Louisiana segregation statute of 1890. His argument to the Supreme Court was that as a citizen of the United States, a resident of Louisiana and of mixed descent, with unrecognizable “colored blood,” he deserved the rights and privileges secured to white people by the Constitution. Ultimately, the Plessy decision only opened the door for more segregation laws, which were also called the Jim Crow Laws. In 1954, 58 years later, the Brown v. Board of Education decision overruled the “separate but equal” doctrine. 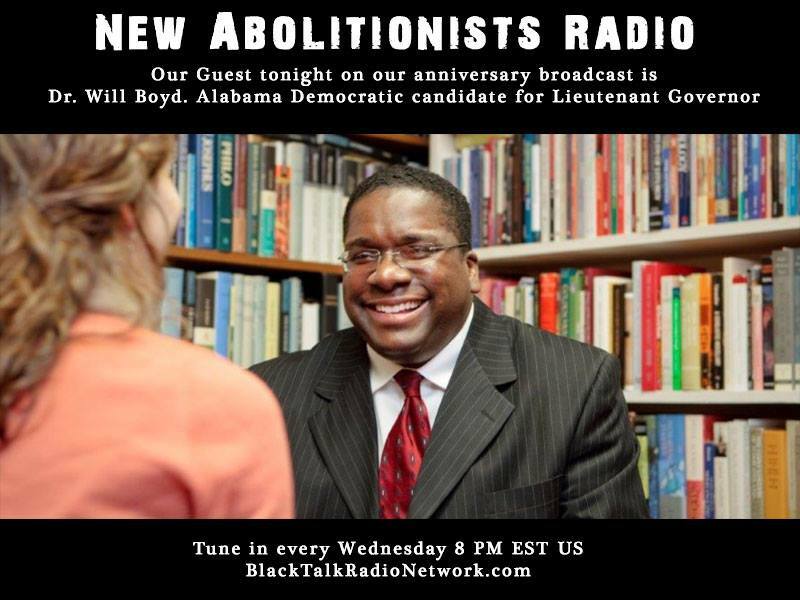 • Our Guest tonight on our anniversary broadcast is Dr. Will Boyd. Alabama Democratic candidate for Lieutenant Governor. We’ll be talking a lot about Alabama in every context tonight. Recent and past history. We’ll do it as abolitionists. • We want to continue to remind you about a Call for a #Juneteenth 2018 Mobilization Against Prison Slavery from SPARC This year. 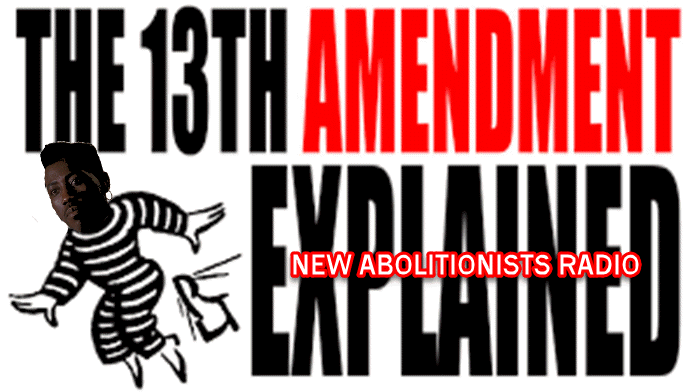 Supporters of#OperationPUSH, are calling on all opponents of mass incarceration and modern-day slavery internationally to honor the Juneteenth holiday (Tuesday, June 19, 2018) with community organizing and direct action. • And finally, the RIGHT 2 VOTE CAMPAIGN Needs your support., It is a nationwide campaign being initiated by people currently confined in the United States. This campaign grew out of the August 21 National Prison Strike Demands, specifically, point #10: The voting rights of all confined citizens serving prison sentences, pretrial detainees, and so-called “ex-felons” must be counted. Representation is demanded. • Our abolitionist in profile is Alabama native James Gillespie Birney (1792–1857) A major voice in the abolitionist movement of the nineteenth century and the first presidential candidate for the abolitionist Liberty Party. • Our Rider of the 21st-century Underground Railroad is Anthony Ray Hinton (born June 1, 1956). He is a black man from Alabama who was held on the state’s death row for 28 years after being wrongly convicted of the murders of two restaurant workers in Birmingham, Alabama in 1985. He was released in 2015 after the Supreme Court of the United States unanimously overturned his conviction, and the state dropped all charges against him. As always, we have far more information available than we have time to share it. We’ll cover what we can while staying on point. Tonight the theme is Alabama. Be sure to follow the information we provide on our FB page at New Abolitionists Radio so you can see it in real time as we talk about the stories. Also, remember to support our efforts by joining us as a member at community.blacktalkradionetwork.com. You’ll find the links for today’s program on our Abolitionists Planning Page. Next Next post: Mind, Body & Spirit: How Can We Heal The Sacral Chakra Part 2 & Are Black Children Being Legally Kidnapped?